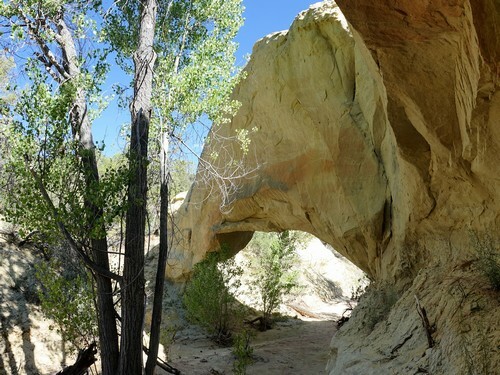 An easy road close to Escalante where you can do very short hikes to Cedar Wash Arch and Covered Wagon Natural Bridge. Also a very interesting "wash through a cave", for lack of a better description. There is nothing else on the road, but these two items are worth a visit. There is a short spur road in the gpx track file, also shown on the map. Park at the end and walk down the hill for a view of the arch. 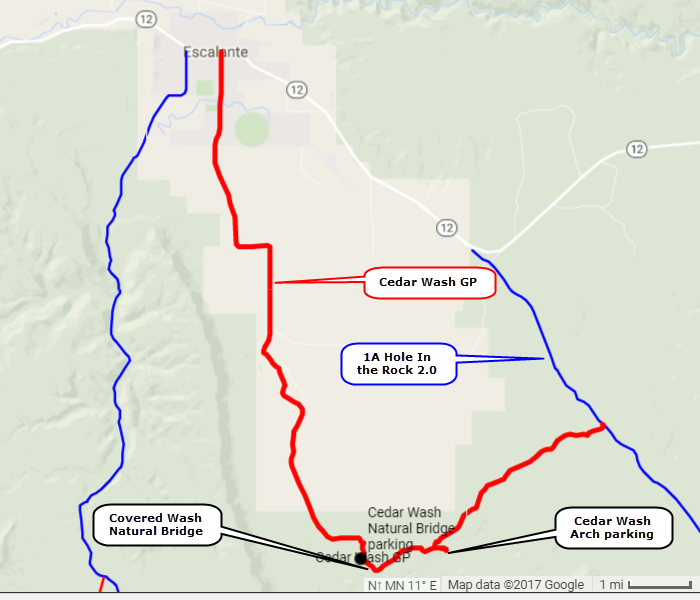 Use the waypoint to find where to park for Covered Wagon Natural Bridge. There was a sign for the parking area just recently, but it was missing in May, 2017. Follow the trail down into the wash and go up the wash to the natural bridge. Go another hundred feet upstream after the bridge to see an unusual formation. 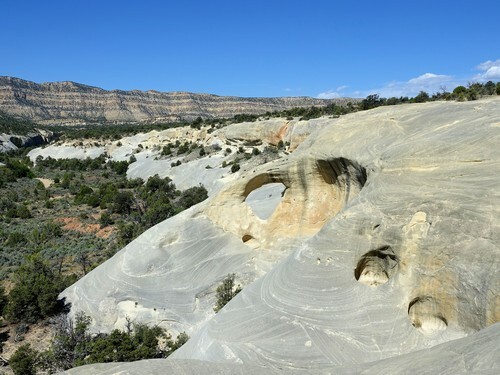 ​Water washes down the slickrock above the wash, goes over a pouroff and drops into the wash at the bright "cave" opening just beyond the people in this photo. 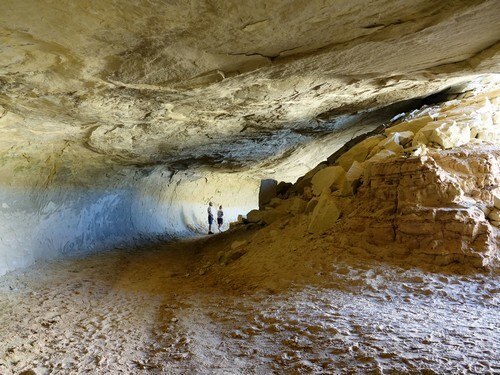 It then runs through the "cave" where the people are and then exits at the bright spot at the right of the photo. We have never seen this type of thing before.